Have you seen the new meteor impact heat map? 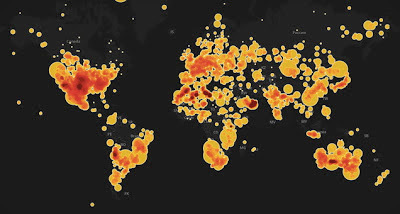 Well, there's a map that plots all of the recorded meteorite impacts on Earth since 2300 BC. Note, this is recorded impacts. If no one saw it or found evidence of it, it's not recorded. That's why there aren't a whole lot shown over the oceans. So, it's not a full mapping of every meteor impact, just those we know about. You can go to the interactive map and zoom in or select any place on earth. It contains information about each strike. I found it interesting. Naturally, it's inspired by the recent meteor strike in Russia. But, it's not the only map inspired by recent events. 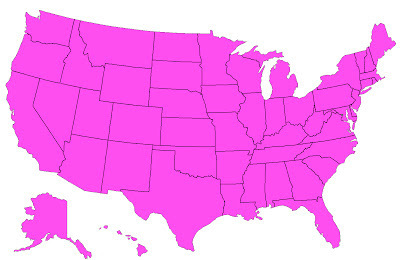 Here's a map of areas of the United States that are victims of the economic impact of Obama and Democrat policies. Those adversely affected are shown in purple. It's a little more accurate than the meteor map. And a lot more scary.